2. Plan an evening outdoors with your family and friends. 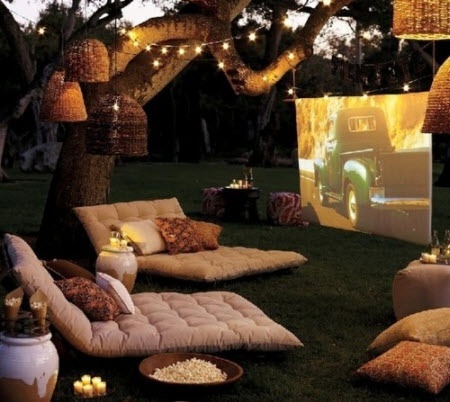 I love the idea of creating your own drive-in movie theater with a projector screen, outdoor cushions, twinkle lights and a bowl of popcorn. 3. Rearrange your coffee table. I recommend topping it with a tray, books, a scented candle and a pretty vase of flowers. Even a small change will give your entire living room a fresh perspective. 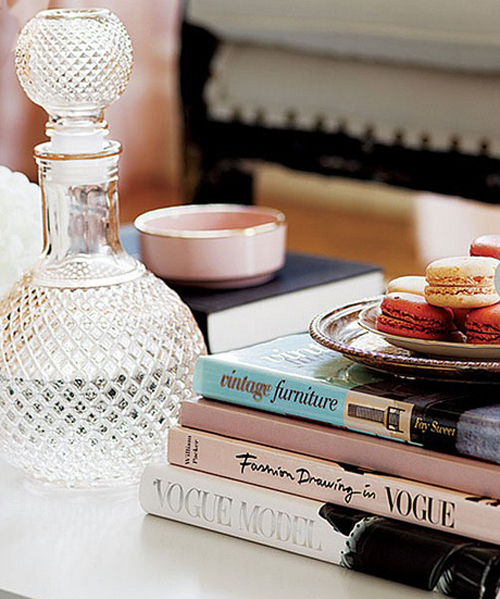 Pinterest is full of coffee table inspiration. And if you’re in the market for a new coffee table book, take a peek at our guide of favorites here. 4. 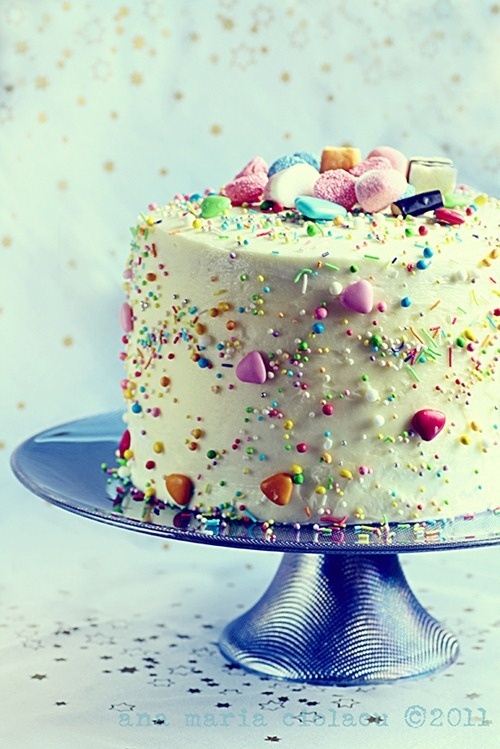 Bake a candy-covered cake. I found this recipe for a candy chocolate cake with Swiss meringue buttercream from Just Love Cookin’ and I haven’t been able to get it out of my mind. For all you Boot Campers out there, consider this your cheat day. 5. 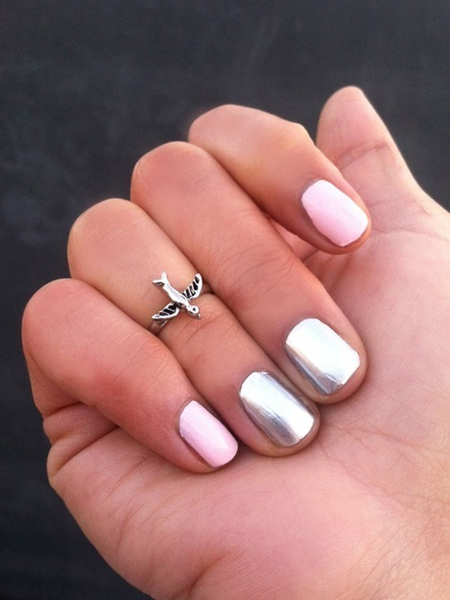 Try a pink and metallic manicure…and add a knuckle ring to top it all off. This mani is easy enough to DIY and the end result is so feminine. Don’t worry if you accidentally smudge one nail…we’ve come up with the quickest fix to have your nails looking perfect again And stay tuned for our full guide on how to give yourself an at-home mani going up on the blog next month!